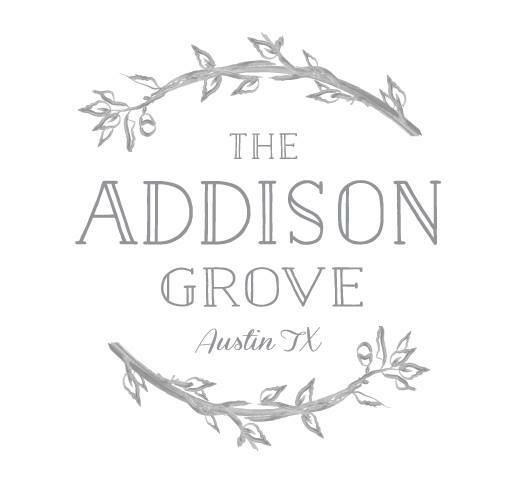 Emily and David’s Austin wedding at The Addison Grove is inspired by nature and oh-so-dreamy. The gorgeous organic florals from Clementine Botanical Art adorned the beautiful venue and were the perfect touch. See the gallery captured by Feather & Twine! Emily and David met while in college in North Carolina. The art majors had classes together and quickly became friends. They got to know each other during long bike rides through the streets of Greensboro. Over the years together, they lived in New York City, adopted a Great Pyrenees puppy, traveled to numerous countries and ran a half-marathon together. The couple now happily call Austin home. One fall morning, Emily, David and their pup set out on a secluded hike through the Barton Creek Greenbelt. Not long into the hike, they took a wrong turn and got completely lost. Determined to see the outlook at the end of the trail, they finally got on the right path. When they reached the end, they were the only ones on the hill and got to take in the beautiful view. As they were gazing, David asked Emily if she needed a drink of water. Taken off guard, she turned to see him down on one knee!